At Kirsch-Goodwin & Kirsch, our attorneys each have over 20 years' experience in insurance law representation. Our Arizona insurance attorneys take the steps necessary to help our insurance company clients avoid bad faith litigation or extra-contractual exposure in the first instance, while also having the expertise to defend and resolve bad faith claims quickly and efficiently. We strive to limit exposure and expense to our clients while vigorously defending their reputations. Contact us at our law firm to schedule an initial consultation. Attorney Lori Kirsch-Goodwin has represented insurers against bad faith claims for over 25 years. 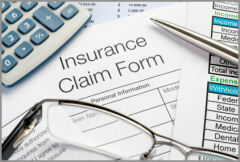 When defending insurance companies facing claims of bad faith, she analyzes the insurance policy to determine whether the action fell under the terms of the policy. If it did, she advises the insurance company of its options for negotiating a settlement, or searching for defenses to the policy. If the action did not fall under the terms of the policy, she diligently defends the claim on behalf of the insurance company. For insurance bad faith from experienced lawyers, call the Scottsdale, Arizona, law firm of Kirsch-Goodwin & Kirsch at 480-585-0600 or contact our office online.